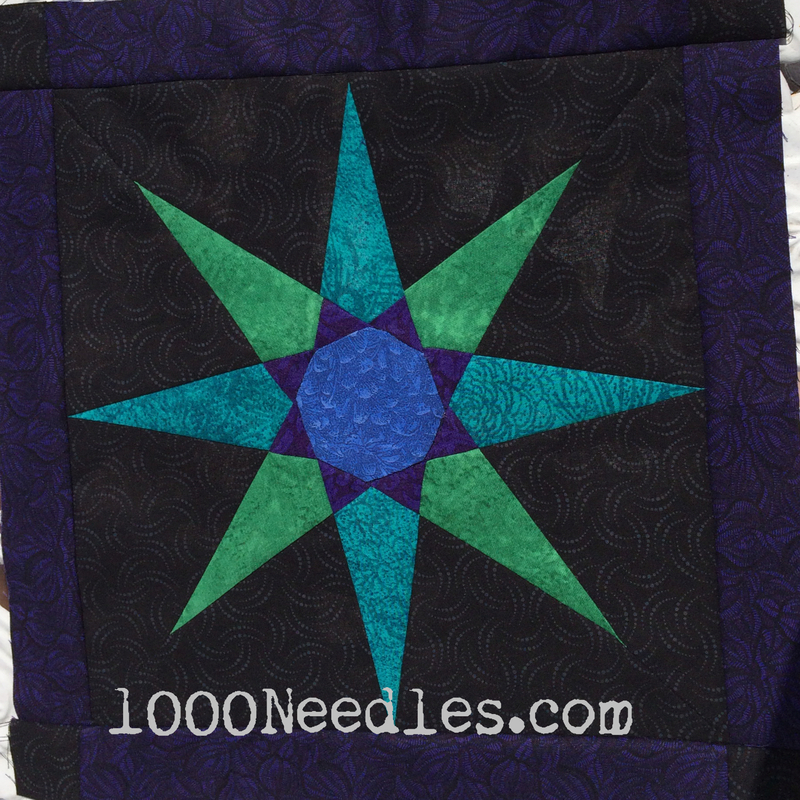 This Saturday finds me with only 4 more blocks to go on quilting Easy Street AND borders. I only have 4 days left and with my arm, wrist, and elbow giving me issues I’m not able to quilt that long. Doing 1 block a day is about all that I’m capable of. That means I only have enough time left in April to do the 4 blocks. I do NOT have time to finish quilting the borders. Of course, I’ve only got the 4 side blocks to do which is much easier on me than the middle blocks so maybe I’ll be able to do more than 1 block a day. We’ll see. If I don’t get the borders quilted, I’m okay with that. I made significant progress quilting Easy Street this month and I’m well on my way to getting it on my finished list for May. I was able to get the backing pieced together for the Flowers and Baskets Quilt that has been on the UFO list since 2012. So that’s a DONE on one of the items on my to do list for April. I’m hoping to get it basted in May and is next in line to quilt once Easy Street is done. For Moon Glow – I finished Block 4 and I have Block 5 to do. I’ll probably be getting the next block next week. For Hampton Ridge – I finished 1 of 2 kits I had piling up here and I’ve only got the 2nd kit left to do. Like Moon Glow, I’ll probably be getting that kit next week. I know my card was charged yesterday so it’s probably in the mail already. and prepping practice sandwiches for FMQ’ing. None of these items excite me. So, I may do something else entirely. But then that’s too much effort for me right now (which is really why I have such a lengthy to do list :)).